Outgoing Ohio State Football coach Urban Meyer told reporters Thursday he will be co-teaching a character and leadership course next year at the school's business college. Critics of the football program say Meyer displayed little character or leadership when he misled the public about his handling of domestic violence allegations involving a now former assistant, which led to his three-game suspension this past season. There are also plans in the works for Meyer to work with athletic director Gene Smith in some capacity. 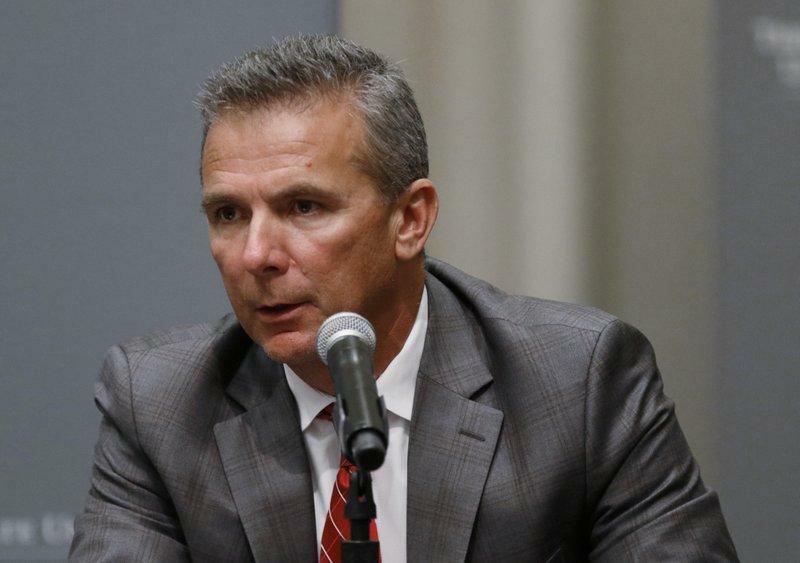 Citing health reasons and a difficult year that included a three-game suspension, Ohio State football coach Urban Meyer announced his retirement this afternoon at a press conference that included the school naming his successor, Ryan Day. Ohio State University is denying allegations a former football player transferred to another school after former assistant coach Zach Smith used the 'n' word toward him. Ohio State University has suspended head football coach Urban Meyer for the first three games of the season.